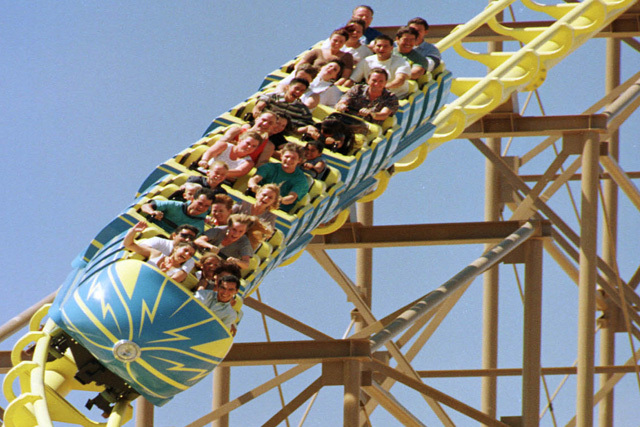 Speed - The Ride is one of the sensational thrill seeking rides that are available in Las Vegas. Speed is located at the Sahara Hotel and Casino. 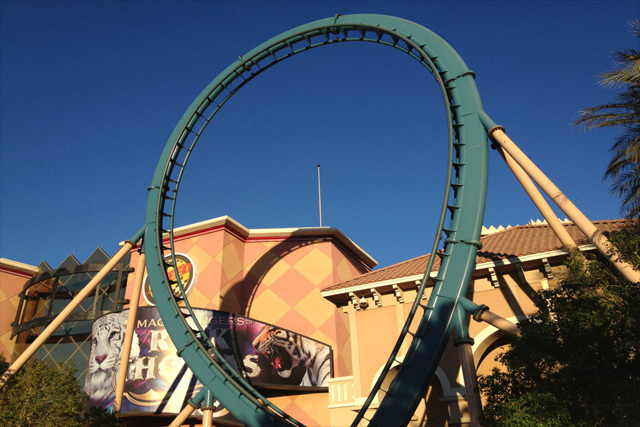 You can check out this ride every day of the week until 10PM or midnight on the weekends. Many people choose the VIP option so they can ride all of the rides on the Cyber Speedway, including Speed. People love Speed-The Ride because it is anything but your average rollercoaster. The average rollercoaster doesn't go this fast and it's not as exciting. For instance, Speed is made with Linear Induction Motors. This allows the ride to go from zero to seventy miles per hour in approximately four short seconds. Using electromagnetics, Speed basically flings this amazing rollercoaster using the effect of a sling shot. Once you are shot from your starting point you will head over the first hill. At that point you'll be going a modest thirty-five miles per hour, but the speed will get much faster. From the hill you will take a curve and that will lead into a twisting corkscrew. After you hit that corkscrew be prepared because you will drop 25 feet below the ground into a misty tunnel.